What is the Alternative Textbook Grant? The Alternative Textbook Grant is an initiative of OU Libraries. Its primary goal is to compensate instructors for the work required to abandon costly, traditional course materials in favor of free and open course materials. The primary metric of success for this initiative is a reduction in what students spend on course materials. The grant, which was started in 2014, accepts applications annually opening its call for applications in January of each year. How much funding will successful applicants receive? OU Libraries does not award more than $2,500 per successful application; however, the following colleges have agreed to supplement this amount for their participating faculty. When did the Open Education movement begin? The term "open content" was coined in 1998 by David Wiley and was inspired by the open software movement. The prevalence of open educational resources and the community supporting them has been growing since. Resources made freely available are not necessarily created for free. Most OER are written by academics and peer-reviewed. Furthermore, most who adopt OER are experts in their fields and are therefore optimally suited to judge a resource's quality. What incentives an instructor to adopt or create OER? Student success should be the driving incentive of an instructor to adopt OER. –success via access to quality instructional materials. OU Libraries does offer modest monetary incentives to those willing to adopt OER in the form of Alternative Textbook Grants. These seek to ease the burden of switching from traditional to alternative resources. Are there non-monetary incentives to adopt OER? Ideally, faculty would receive Tenure & Promotion credit or a course release for adopting OER. If you're interested in making such a proposal within your department, let's talk. How is the creation of OER funded? Funding to support the creation of OER typically comes from academic institutions, philanthropic organizations, and increasingly state and federal governments; however, some are created solely out of goodwill. OU Libraries awards modest grants to instructors who adopt OER reducing what students spend on course materials via the Alternative Textbook Grant. What is the business model that sustains and maintains OER? For at least the last 10 years, textbook prices have increased at a rate of more than 3x that of inflation. Some companies have created business models around OER including textbook publishers and Ed. Tech. companies. Those OER avenues are not promoted here as they are subject to the same market flaw as traditional textbooks. Where prices might be low now, but there exists no consumer choice mechanism to ensure they stay low. Furthermore, OU Libraries, via the Office of Open Initiatives offers the same services many OER-based companies offer. Therefore only free OER avenues are promoted here. OER authors retain full copyright of the resources they create. In order to be considered OER a resources must have an open license. A license explicitly states what a copyright holder allows others to do with their work. All rights reserved is a form of a license that limits the use of a resource to that which is allowed by fair use and nothing else. The non-profit Creative Commons has written and openly published a spectrum of legal statements explicitly permit various uses of a resource. 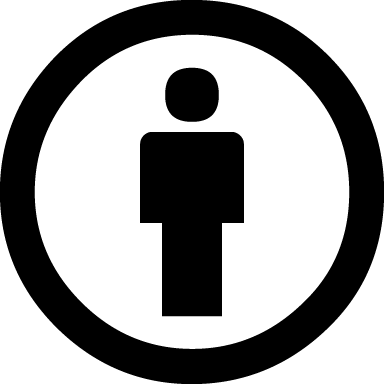 Other license exist, the GNU Free Documentation License, for example, applies similar permissions to a work. Between the years 2006 and 2016 college textbook prices increased at a rate more than three times that of inflation outpacing college tuition and fees. Seemingly indicating that students are being taken advantage of when it comes to course materials. OER also enable pedagogy impossible with traditional textbooks and resources. OU Modern Languages professor Julie Ward, Ph.D. whose class created an Open Anthology of Hispanic Literature. That's right – a student-created anthology not a student-consumed anthology. Are OER vulnerable to commercial exploitation? Yes, but . . . Legal licenses do exist to prevent commercial uses of otherwise free materials. Most notable is CC BY-NC. However, the most open licenses –the least restrictive licenses– do not prevent commercial uses. Most often commercial uses of OER are justified by there having been value added to the OER. In theory, it is that added value that end users should pay for because the original OER is still available for free. "Added value" can be anything from supplemental chapters, updated illustrations, added quizzes, to wrapping the resource in an LMS where users pay for access to that LMS, etc. How do I register my work with a CC license? You don't. 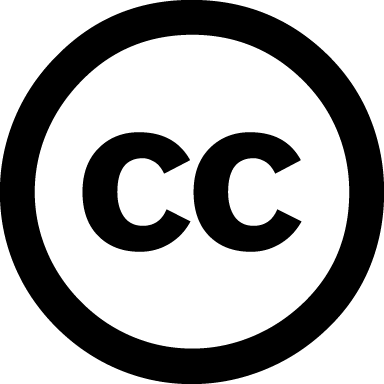 To apply the terms of a CC license to a work, simply choose a license using this wizard and insert its icon and its declaration into your work where you would typically include "All Rights Reserved" or "©". You'll find an example declaration at the bottom of this page. Where can I learn more about Creative Commons licenses?